How do consumer shop for your category and brand in-store, and what are the reasons for their behavior? 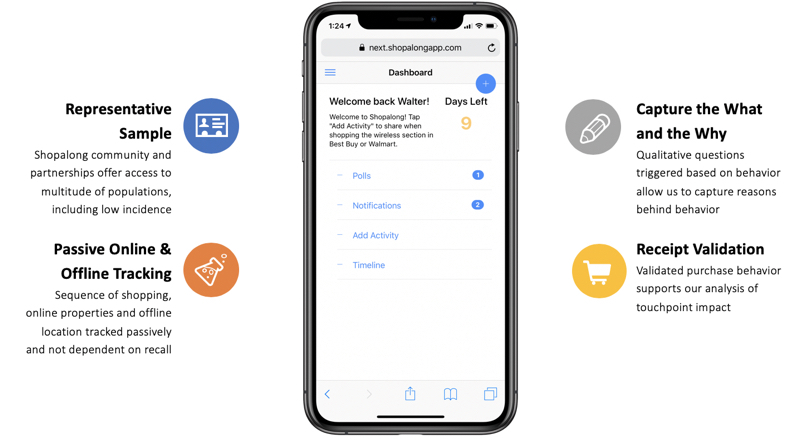 With Shopalong™ In-Store you can follow actual shopper journeys and identify opportunities to optimize consideration and purchase for your brand. Identify the touchpoints that drive in-store visits and purchase behavior. Uncover reasons for non-purchase behavior and and find opportunities to optimize in-store customer experience.